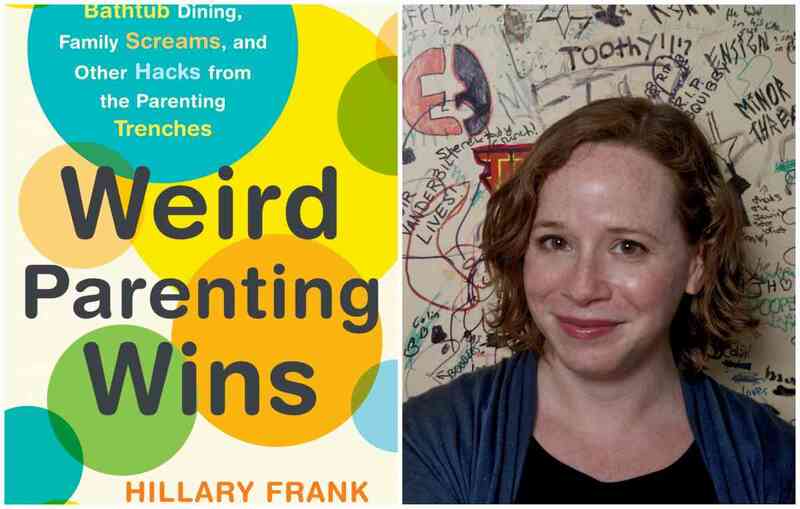 Hillary Frank - "Weird Parenting Wins"
About the book: Unconventional–yet effective–parenting strategies, carefully curated by the creator of the popular podcast The Longest Shortest Time. Some of the best parenting advice that Hillary Frank ever received did not come from parenting experts, but from friends and podcast listeners who acted on a whim, often in moments of desperation. These “weird parenting wins” were born of moments when the expert advice wasn’t working, and instead of freaking out, these parents had a stroke of genius. For example, there’s the dad who pig-snorted in his baby’s ear to get her to stop crying, and the mom who made a “flat daddy” out of cardboard and sat it at the dinner table when her kids were missing their deployed military father. Every parent and kid is unique, and as we get to know our kids, we can figure out what makes them tick. Because this is an ongoing process, Weird Parenting Wins covers children of all ages, ranging in topics from “The Art of Getting Your Kid to Act Like a Person” (on hygiene, potty training, and manners) to “The Art of Getting Your Kid to Tell You Things” (because eventually, they’re going to be tight-lipped). You may find that someone else’s weird parenting win works for you, or you might be inspired to try something new the next time you’re stuck in a parenting rut. Or maybe you’ll just get a good laugh out of the mom who got her kid to try beets because…it might turn her poop pink. About the author: Hillary Frank began her career as a contributor on This American Life. She is the creator of the podcast The Longest Shortest Time and has received awards from the Third Coast International Audio Festival, The Association for Women in Communications, The Academy of Podcasters, and The New York Festival’s World’s Best Radio Programs. Hillary is also the author of three young adult novels: The View from the Top, I Can’t Tell You, and Better Than Running at Night.